1920's era Art Deco onyx and diamond ring. Product code: ES3876 Categories: Sold Items, Sold Rings. 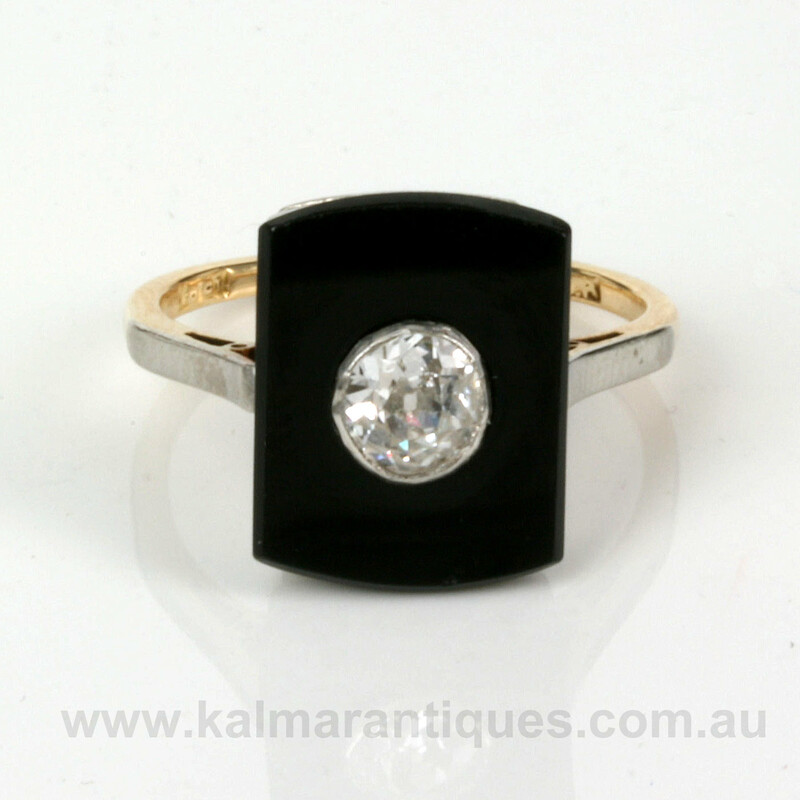 Onyx and diamond is such a winning combination and was embraced by many jewellers of the Art Deco era and here is a wonderful example of a black onyx and diamond ring. 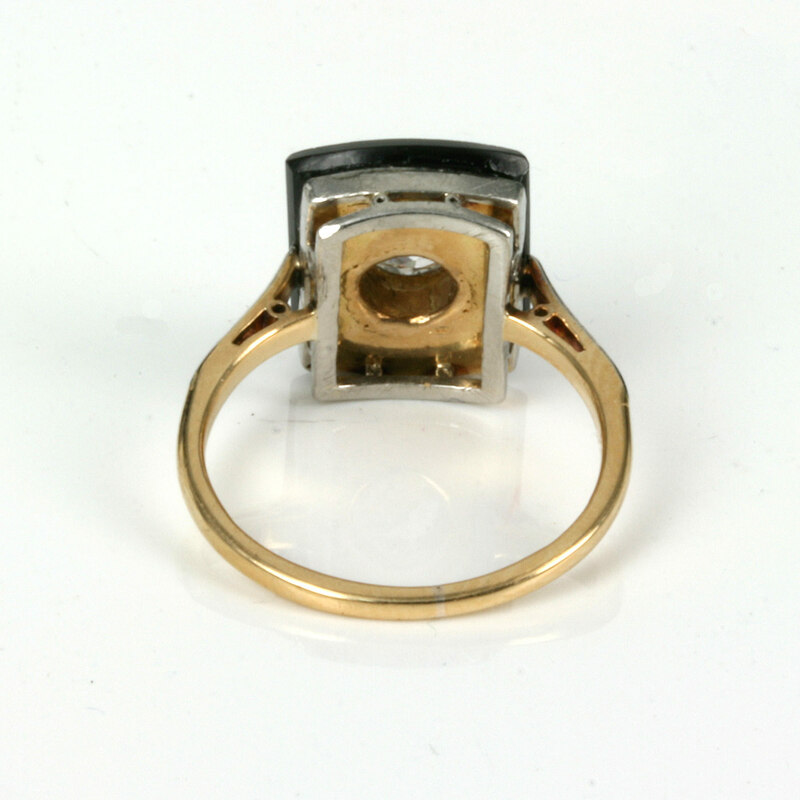 Hand made in the 1920’s in 18ct yellow and white gold, the ring is set with a rectangle piece of black onyx that measures 17.8mm by 10.8mm wide. In the centre of the onyx is the diamond which sparkles so brilliantly and stands out even more set into the black onyx. The diamond is a wonderful old European cut diamond that measures 0.42 carats and is G in colour and Si in clarity. The onyx leads down to the band where the start is made with white gold leading to the yellow gold band. Art Deco onyx and diamond rings look so elegant on any finger and this one is just divine.